Tucked away in the Union Swap Meet was a gem of a restaurant. A Korean-Mexican fusion restaurant, Nabi was the ultimate celebration of Los Angeles. It’s menu was a melting pot of two of this city’s largest immigrant populations and at a price anyone could afford. Nabi was a frequent spot where I would regularly meet my friends, Beverly and Brian, for lunch. We would meet there about once a month to catch up on life over a rice bowl or Korean-style quesadilla. When we got the tragic news that Nabi was closing, we made a point of going for one last meal. I got to the Swap Meet early and relaxed on a couch next to Nabi while I waited for my friends. Chef and owner, Cecilia Hae-Jin Lee, was interacting with her staff with the casual spirit of a friend or big sister as they were prepping the restaurant for the weekend. Behind her smile and green hair, Cecilia has an effortless cheer to her which she spreads to each customer. She’s the sort of person I’d like to have a beer with. Beverly and Brian arrived, and we lamented the fact that we’d be sharing our final rice bowls from Nabi. A Traditions Bowl for me, a Dictator Bowl for Beverly, and a Build-Your-Own for Brian. 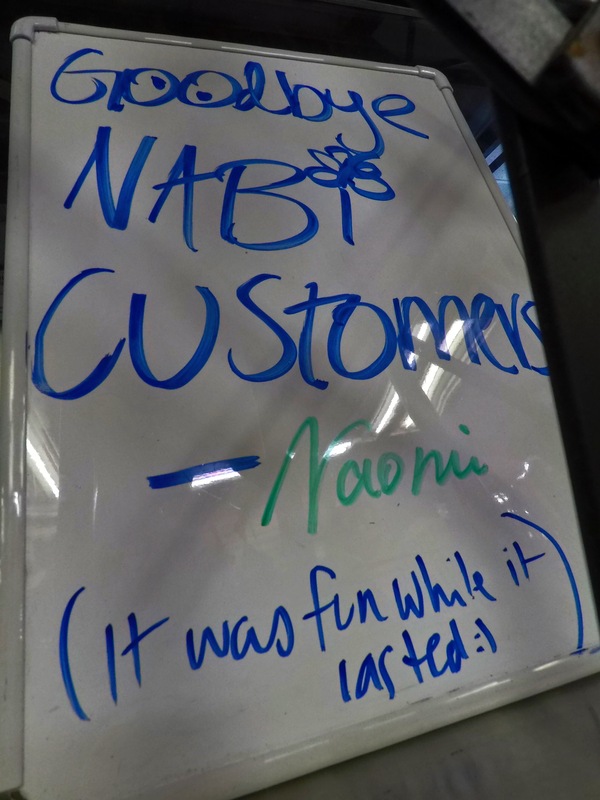 As Cecilia took our orders, we asked her if only Nabi was closing or if the entire swap meet was doomed. It would be closing in March 2019 to build a parking structure for Los Angeles Community College. 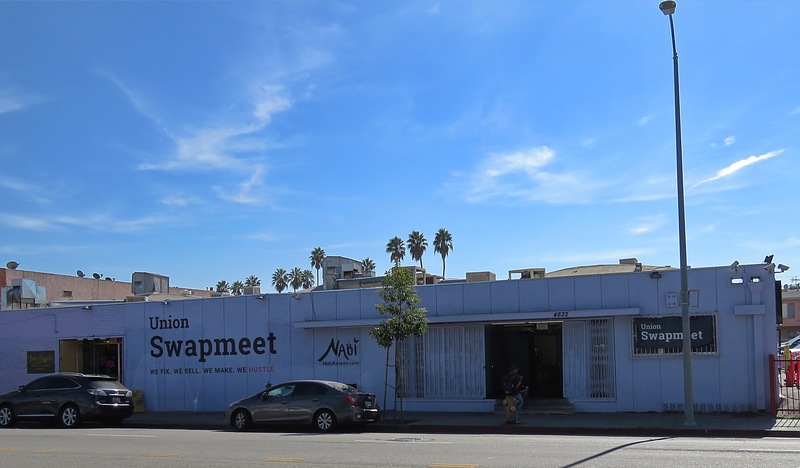 It was upsetting to learn that the Union Swap Meet would be closing, but I felt devastated that it’s demise was to build more space for cars. Cecilia pointed out that the Vermont/Santa Monica red line station is right there. LACC should do more to promote taking Metro instead of creating more space for cars. 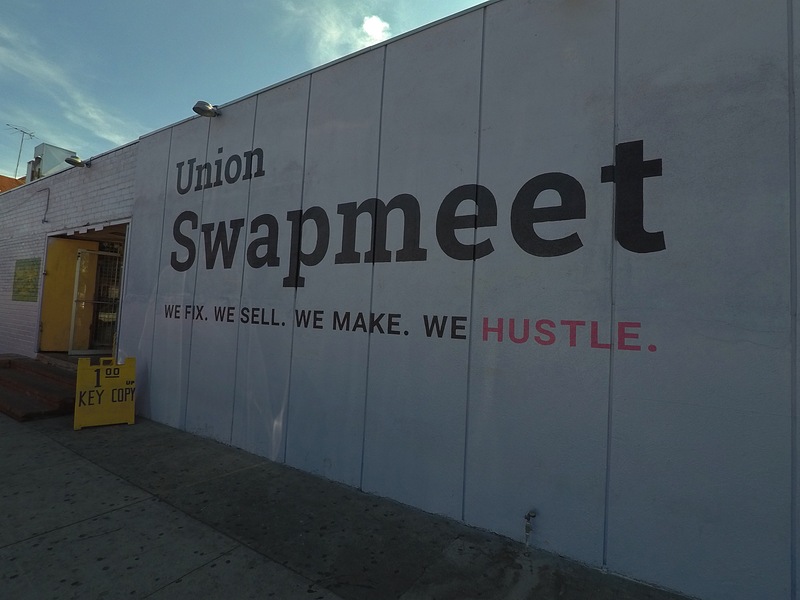 Now many vendors at the Union Swap Meet will be forced to go out of business. 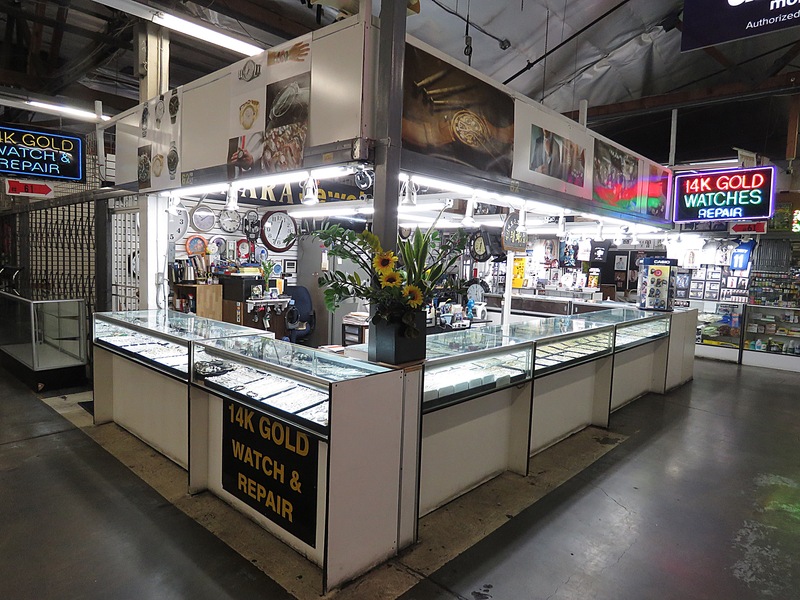 The swap meet offers vendors lower rent than if they were to rent their own private retail space. Many of them don’t generate enough revenue to do that. There are no other swap meets in the area either. And now the community is losing a great spot to buy affordable goods—all in the name of car culture. 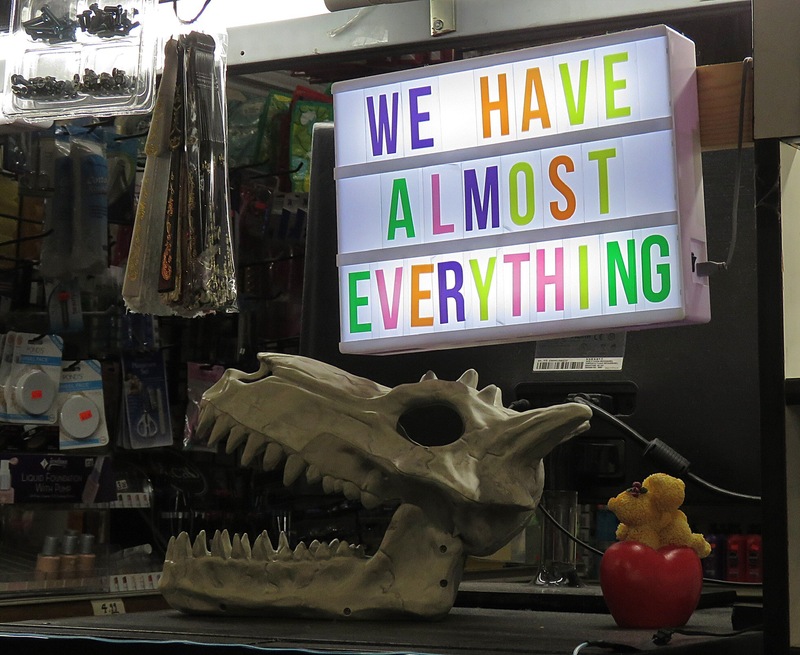 The locals of East Hollywood will no longer have a one stop shop for everything from watch repair to key cutting and some tacos in between. Instead, folks from outside of the neighborhood will have a place to park their car. Immigrants who had an opportunity to become business owners and achieve the American dream are being squeezed out of the community where they’ve set roots. Instead, people can continue to ignore viable public transit options while being part of shuttering small businesses. This is Los Angeles—a beautiful melting pot that’s diluted only by its car culture.